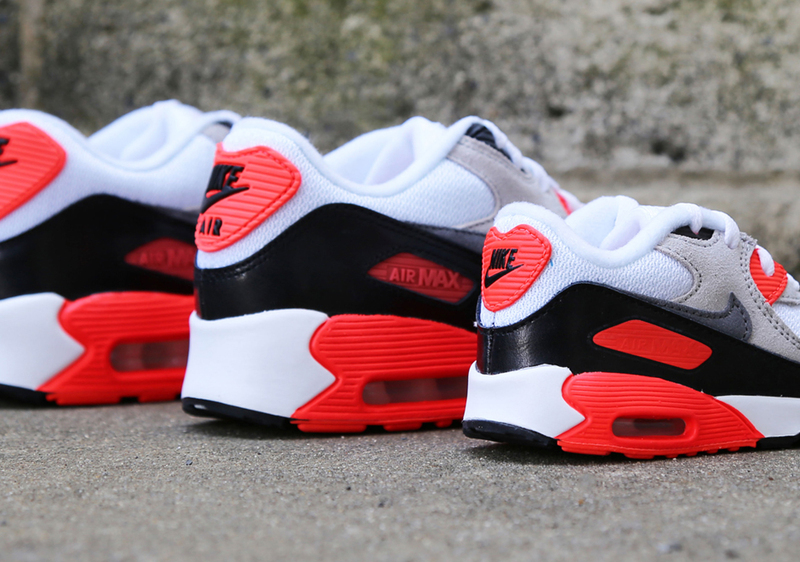 This summer’s release of the Nike Air Max 90 in its iconic Infrared colorway is going to be fun for the whole family. That’s because the classic runner will release in sizes for men right down to toddlers—all featuring the original construction and color-up. 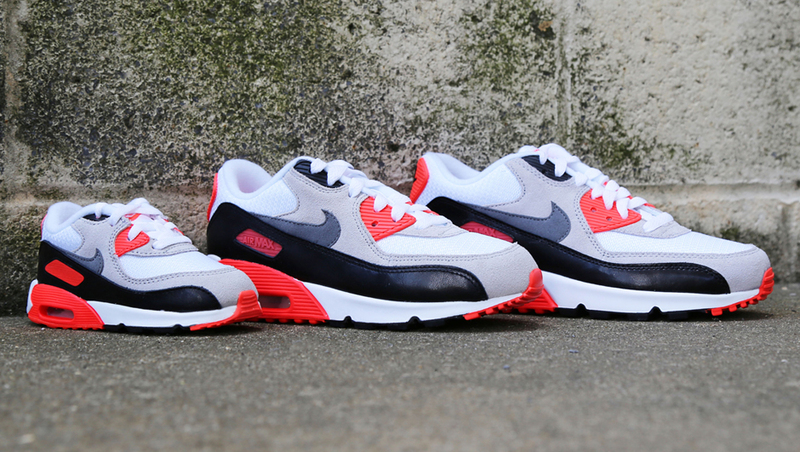 What better way to celebrate the shoe’s 25th anniversary than fitting the whole family in a pair? 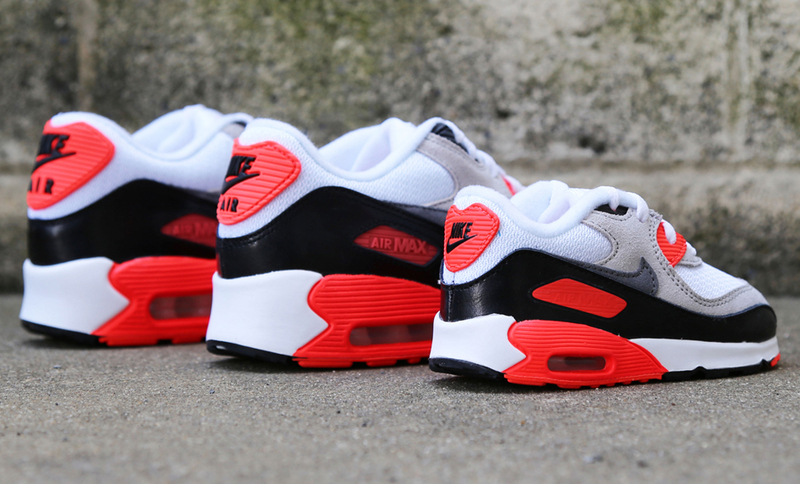 For every man, woman, and child, get your Infrareds this upcoming Saturday, May 16th at select Nike Sportswear retailers like Villa.